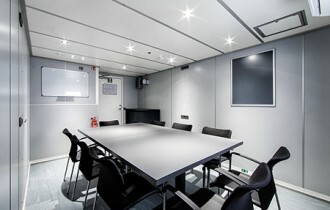 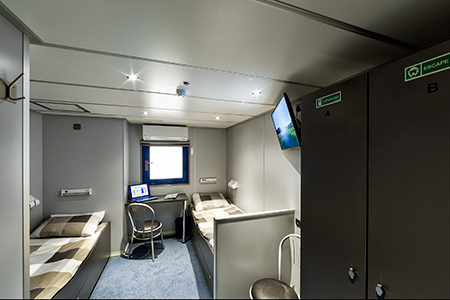 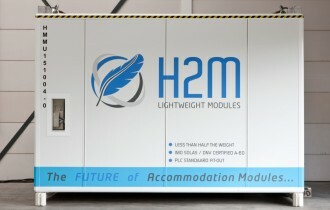 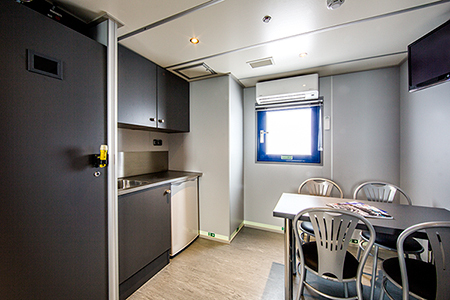 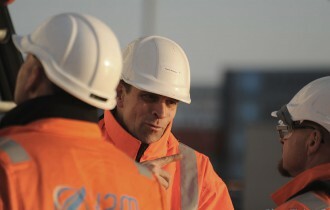 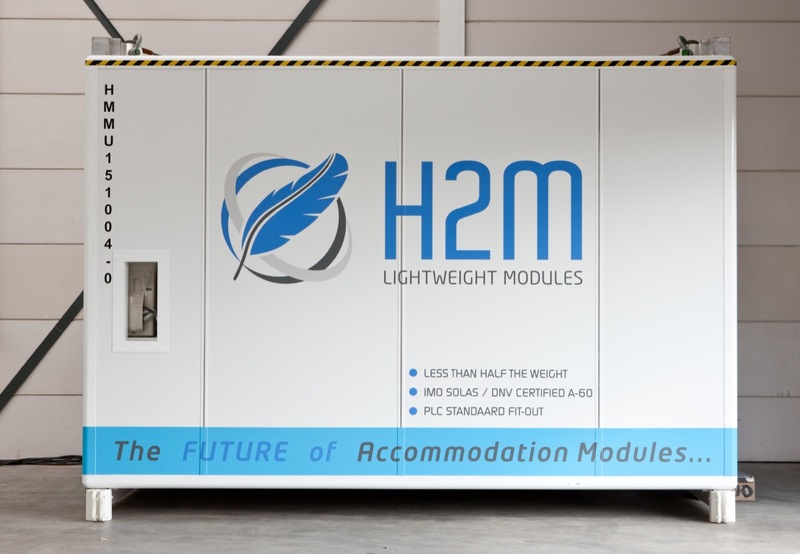 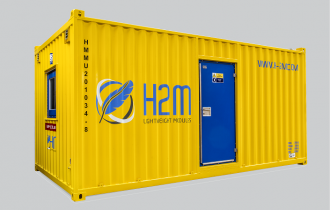 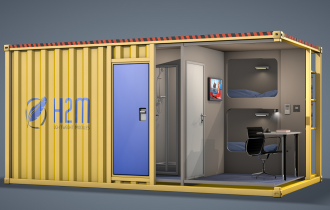 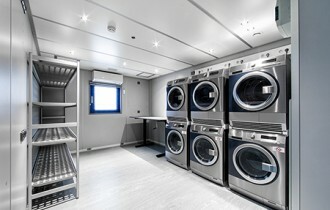 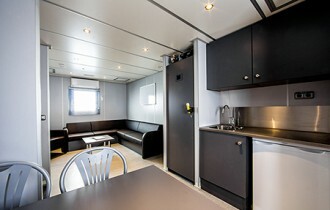 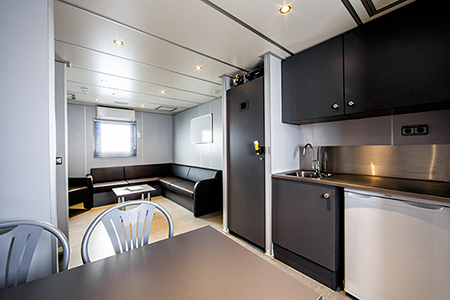 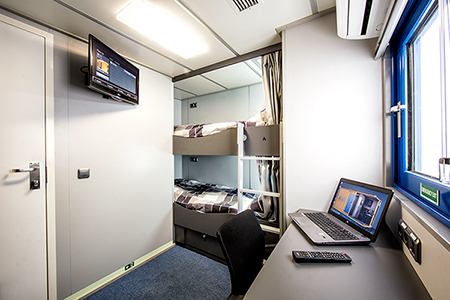 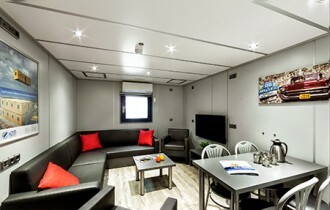 H2M Offshore Accommodation modules meet the demand from the market for lightweight accommodation and workspace modules. 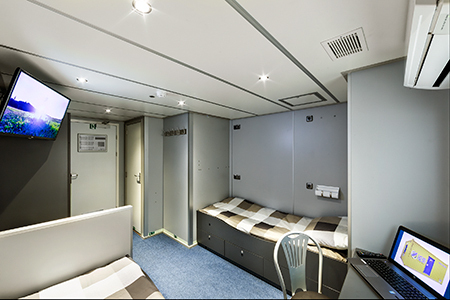 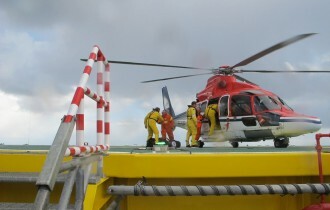 Designed with highest standards of exterior and interior facilities, they provide maximum comfort and security in challenging offshore environments. 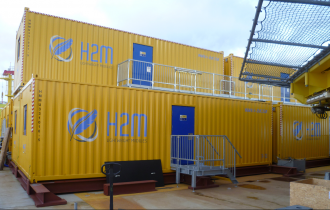 We manufacture all our modules to the highest industry standards; DNV 2.7-1, EN 12079 and ATEX, including compliance with IMO/SOLAS regulatory requirements for A60 fire protection as standard withstand even the most hostile offshore and marine environments. 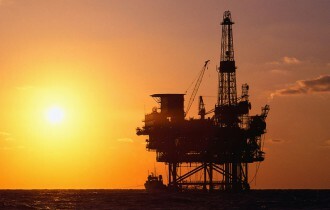 Safety monitoring systems are incorporated, including an integrated fire and gas, pressurization and emergency shutdown system suitable for Safe Zone and optional, Zone 2 hazardous area applications. 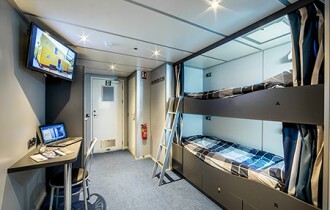 Comfortable cabins with (bunk) beds in each cabin. 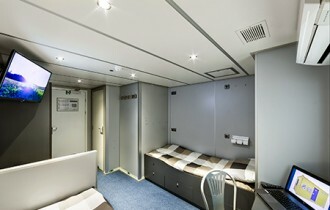 Each cabin has its own sanitary room including shower, toilet and a sink. 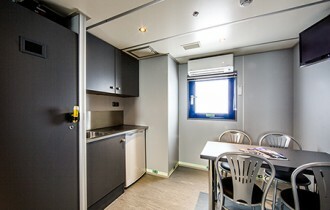 Secure lockers, desk including chair and leather armchair. 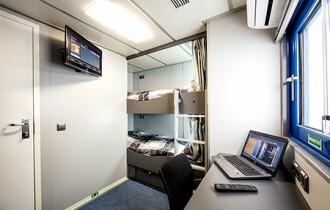 32 inch flat screen TV and internet connection. 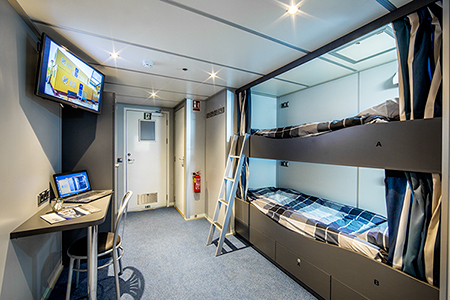 The (bunk) beds are equipped with quality mattresses, curtains and integral lights. 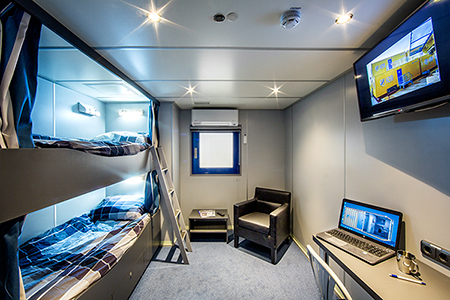 Duvets and pillows. 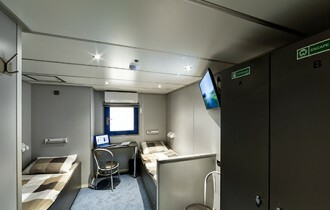 Wi-Fi router in corridor. 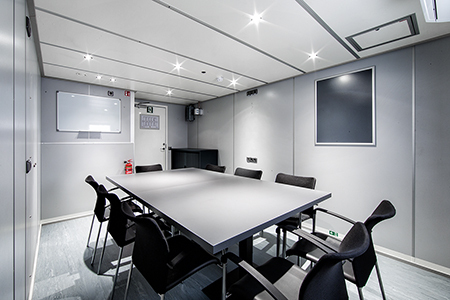 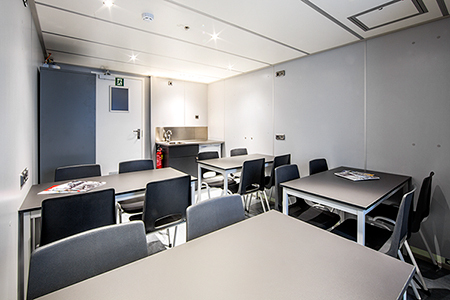 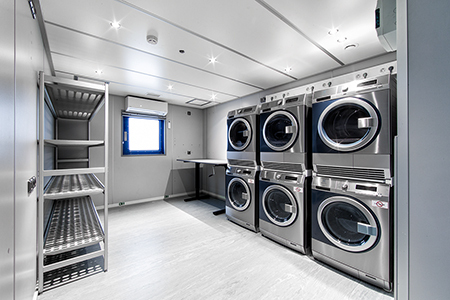 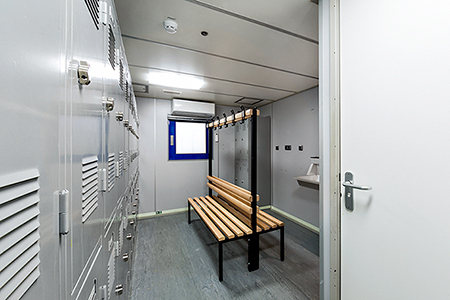 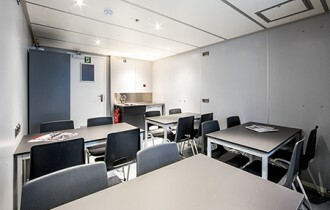 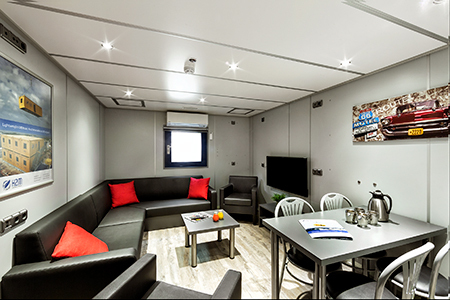 We design & manufacture a wide range offshore certified lightweight accommodation & workspace modules such as offices, locker rooms, recreation rooms, mess rooms, galleys and meeting rooms. 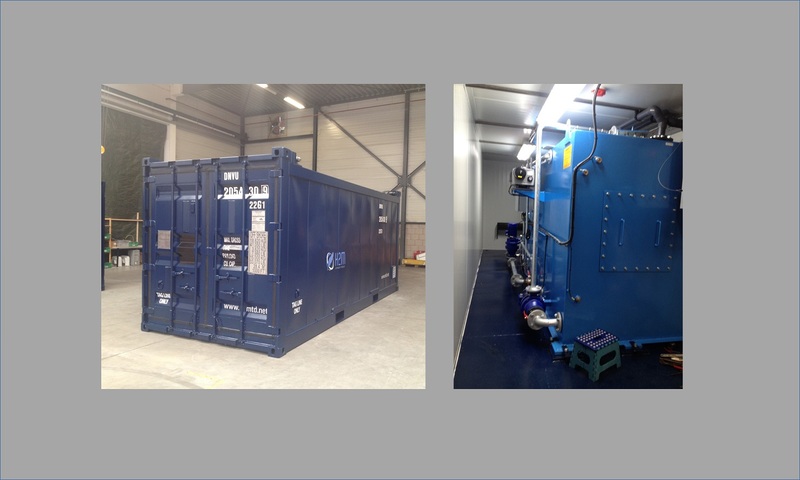 If there is a need for a custom build module, please feel free to contact us to discuss your requirements and our possibilities. H2M is also able to manufacture, rent and/or sale all kinds of auxiliary facilities as stand-alone or with an accommodation project. 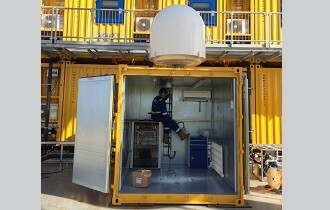 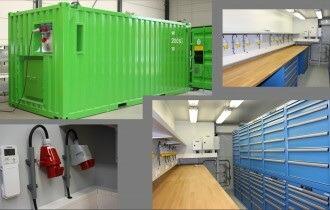 These ‘specials’ are based on modified standard DNV 2.7-1 offshore containers in 10ft or 20ft, standard or high-cube. 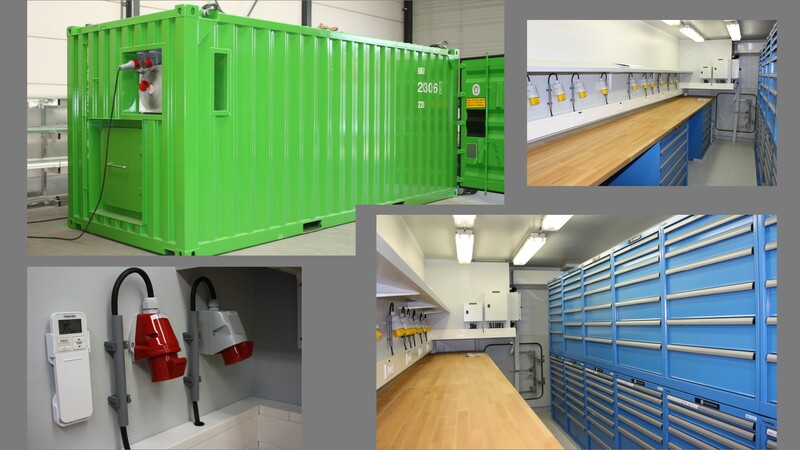 Some examples of the various possibilities are; workshop-, storage-, equipment-, satellite TV/internet-, fresh water maker-, sewage treatment-, or custom build containers.